The possibility of Colin Kapernick signing with the Baltimore Ravens remains out there and some players are vocal about supporting the move. It’s one of the biggest storylines of the 2017 NFL training camp opening week, and it has nothing to do with anything that is taking place on the field. The continuing question about whether Colin Kaepernick will sign with a team remains one of the most talked about subjects, with some wondering if a team will give him a shot. 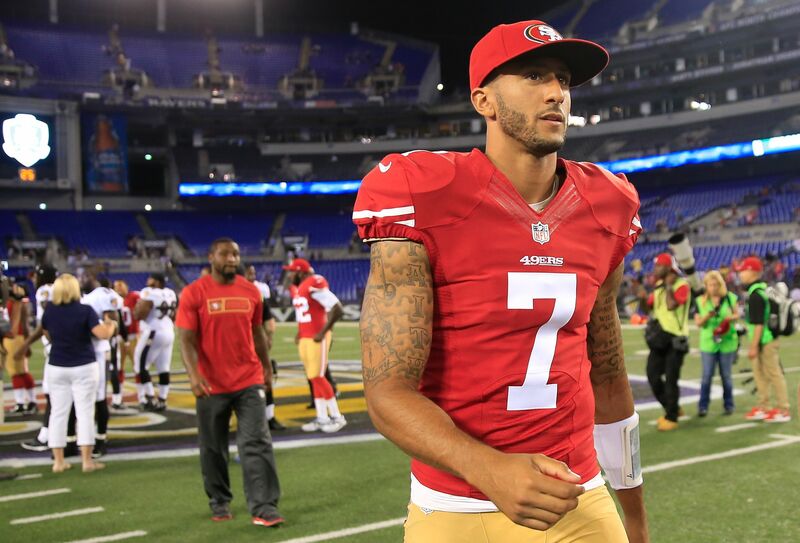 At this point, the Baltimore Ravens seem to be a favorite to do something and actually sign Kaepernick to a contract. Head coach John Harbaugh has been open in saying the team likes him and would be willing to make a move, especially while starting quarterback Joe Flacco will be sitting out much of training camp with an injury. It would be hard to argue that Colin Kaepernick is being shunned more for his First Amendment right to express himself than anything he may have done poorly on the field. Players are allowed to put items in the lockers of certain presidential candidates, but Kaepernick can’t express himself? Somebody will make the move and sign the former 49ers starter this season; maybe it’s Baltimore, maybe it ends up being somewhere else. If that doesn’t happen this season, or ever, the problem isn’t him taking a knee — it’s people who don’t want every opinion to be heard, even ones they may disagree with.